Have just ordered this book...will let you know if it's any good for Oric stuff. I didn't want an oric specific book as I also want to do some Atari 8bit stuff one day. It's my main 6502 reference. Zaks books are very standardized, he wrote the same book for Z80 and bunch of other processors, so they all have the same structure with some information about boolean and logic, addressing modes, then instructions and some tables. Personnally, i've learned 6502 code with "Leventhal's 6502 programming"
I've got later zak's books. I bought Zaks one when I started tinkering with 6502 last year. Seems pretty solid having not done a great deal of assembly coding, really only some stuff on the 68000 in the mid 90s. You might want to have the Oric memory map to hand, but otherwise 6502 coding is pretty generic. coco.oric wrote: Personnally, i've learned 6502 code with "Leventhal's 6502 programming"
The Leventhal's is a good source for already made programs/snippets of code, but I don't used it much as a reference. - Zaks as a quick reference for instructions, timings and which flags are set by which instructions. My post should not discourage buying paper books but sometimes the free space for them is so limited. 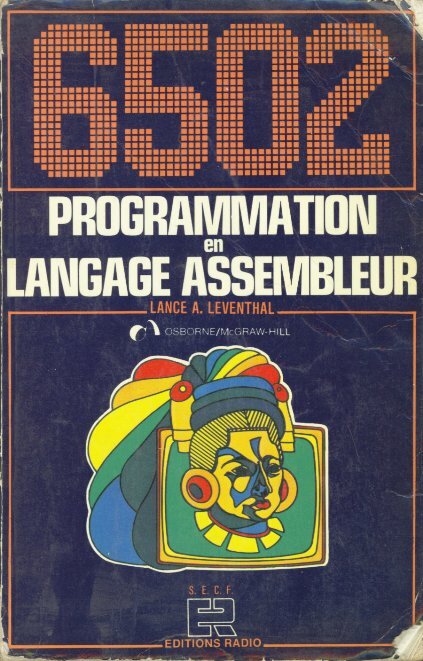 There's also a book of routines by Leventhal called "6502 assembly language subroutines". Bought it a few weeks ago but didn't read it seriously so far - but it has information about the VIA and other things. Seems very interesting to learn machine code. Yay...thanks to the Zak for getting me out of a hole...16 bit addition. More emulators? Well, I understand why... its fun to write your own emulator Was hoping for more contributors to Oricutron, though... Good luck with it, anyway. @Xeron: I started Oricutron's android port, just need more free time - if you have any special ideas/requirements about that pls, contact me. Xeron wrote: More emulators? Well, I understand why... its fun to write your own emulator Was hoping for more contributors to Oricutron, though... Good luck with it, anyway.